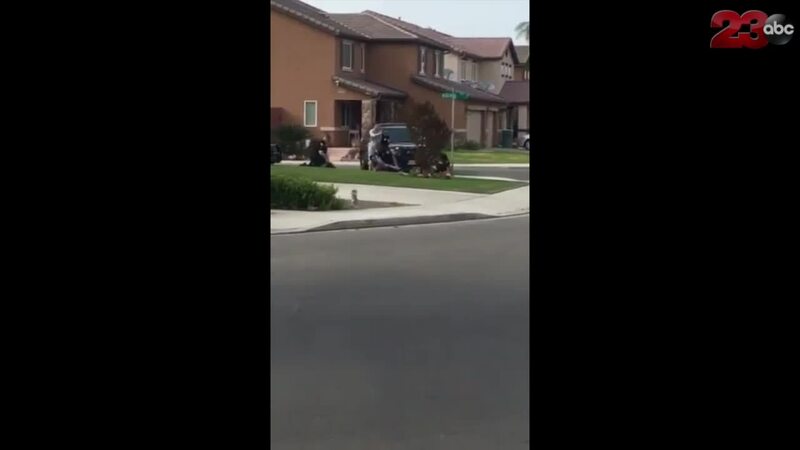 DELANO, Calif. — Delano Police are investigating several videos circulating on social media, including one that appears to show one officer tackling a teenager. Delano Police Chief, Robert Navarez, said the department has been made aware of the videos involving officers and four teenagers. It happened Thursday afternoon between the 2400 and 2500 block of Liverno Drive in Delano, according to police. Officers says the four teens were in the road, and refused orders to move. When officers attempted to detain the teens, they again refusted to comply, Delano police said. Force was then used to make arrests, according to police, which can be seen in the video. 18-year-old Edwin Ardon was arrested as well as three 17-year-olds. According to police, all four people were charged with obstructing a roadway and resisting, as well as obstructing an officer. Navarez said that the case has been sent to Internal Affairs for investigation. "We take this very seriously," Chief Navarez said. "We will investigate it to find out what happened in its entirety, not just what is in the video."